Meanwhile, in a small saucepan over medium heat, warm Pasta Sauce for 4 to 6 minutes, or until heated through, stirring occasionally. Toss Pasta Sauce with cooked pasta until well coated and top with chicken strips. Serve immediately. 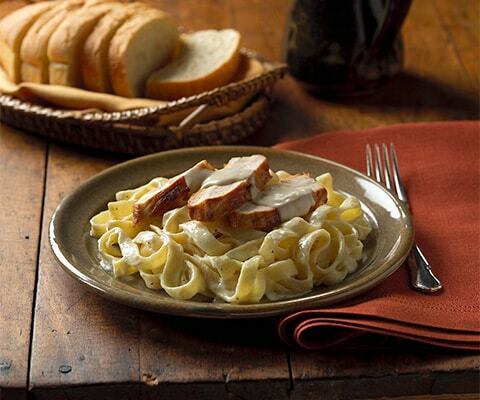 TIP: If desired, substitute Classico® Creamy Alfredo Pasta Sauce with Classico® Four Cheese Alfredo Pasta Sauce. They came out great. The only thing I did different was, use fresh spinach.